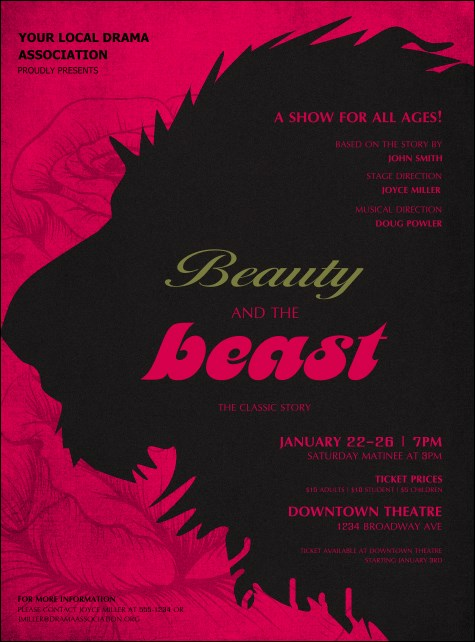 Catch the eye and get all the attention you need for your event when you use the Beauty & the Beast Flyer! News of your play, fundraiser or musical will be hard to miss when you fill this fairy tale flyer with all the info on 25 beautifully designed lines of fuchsia, black and glittering gold text. The right flyer for every occasion is easy to find at TicketPrinting.com!